A teacher in Delhi and one in Ghana who have never met, share their math resources. A teacher in Dubai discusses ways to teach friction with another in a small South Indian town. A Ukrainian teacher learns about the ‘growth mindset’ by listening to a Stanford professor miles away. These are examples of ways in which teachers are able to learn and collaborate together thanks to recent innovations in higher education called MOOCs (Massive Open Online Courses). In this article I share my own experiences with MOOCs, explain how they work and examine how they are useful for the professional development of teachers. There has been an explosion of online learning resources with the penetration of digital technologies and the Internet into our homes and schools. MOOCs are another development in this arena. They are a relatively recent entrant, with the first of such courses appearing around 2010. Courses are created by professors at leading universities and include video lectures, readings, assignments, and online discussion forums. The content of these courses is similar to that of courses offered on campus. MOOCs allow large numbers of people across the world to take online university courses for free. MOOCs, as the name indicates, are ‘massive’ – there are usually tens of thousands or millions of learners signing up for a MOOC. They are open to all – most are free and there is usually no entry requirement. Learners can access the course materials at their own convenience. The attraction of MOOCs stems from their high quality content, easy accessibility, and flexibility. Currently there are thousands of such courses available in a wide variety of subjects and topics. My first experience with a MOOC was in 2013, when I did the course ‘How to Learn Maths’ by Stanford University professor Jo Boaler. Aimed at parents and teachers, this was an excellent introduction to teaching maths in a meaningful and engaging manner. A different theme or topic was covered in each of the 8 weeks of the course. Each week included short lectures and interviews, engaging math tasks, short readings and video clips of children in math classrooms. The online course discussion forum was a space to share ideas, clarify doubts and learn with students from across the world. I found the course very helpful in my work as a teacher educator working with school teachers. Living in a remote rural area, with limited opportunities for attending professional development courses, this MOOC was a great opportunity for me to access inspiring, engaging, and thought-provoking ideas and people. This course got me hooked on to MOOCs. Since then I have done other online courses. Some have helped me directly in my work as a teacher by pointing me to new ideas and resources. For example, the course ‘Reengineering your Science Curriculum’ gave me specific ideas which I used in science projects with my students. Some courses, like ‘Reading to Learn in Science’ taught me new techniques for teaching science effectively. Courses like ‘What Future for Education’ have broadened my perspectives on teaching and education. Several courses (on decision-making, writing, psychology) have not related directly to my work as a teacher, but have been enriching in other ways. My experiences with MOOCs have convinced me that they can be an excellent way for teachers to continue learning and developing professionally. Some courses are helpful in brushing up our subject knowledge. Some courses are helpful in learning new ways of teaching. Some can deepen our understanding about learning and education at a broader level. I find MOOCs especially suited to the busy life of a teacher for several reasons. Most courses are short and can be completed within a couple of months. They require only a few hours of work each week. They are self-directed, so you can follow the course materials, complete the assessments and interact with fellow learners at your own pace and convenience. They are usually of a high quality, having been developed by leading institutions around the world. They give you an exposure to valuable new ideas, resources, and people. Usually they do not have entry requirements, so it is possible to do courses in diverse areas. It is easy to drop out of a MOOC if you find it doesn’t suit your needs. They are free, so it is an economical option if you want to explore a subject or area. You can access a MOOC from the website of a MOOC provider. 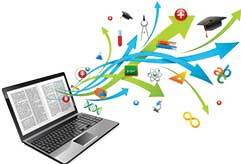 A MOOC provider hosts courses from several participating universities and institutions. Coursera, EdX, NovoEd, and Udacity are some well-known course providers. You need to create an online account on the course provider’s website which allows you to enrol and participate in courses. Some course providers have started offering verified certificates for a fee when you complete a course. When you sign up with a MOOC provider like Coursera or EdX you can view the details of all the courses they are hosting. Details about the duration of the course, its content and focus, can help you choose courses of interest to you. Some courses run for a fixed length of time and have to be completed within the allotted time frame. Others are self-paced courses, which you can join and complete at any time. Some courses form part of a series in a particular specialization. For example, ‘Foundations of Teaching and Learning’ is a series of nine courses developed for school teachers by the Commonwealth Trust. MOOCs don’t offer the face to face social interactions that traditional courses do. If you prefer personal contact with other learners, encourage your colleagues or friends to sign up for a course with you. Working with a group of people can be a great way to keep up your motivation and discuss ideas. I have found doing courses in this way especially rewarding. There are over 400 institutions offering close to 3000 free online courses on MOOC platforms today. Over 11 million students have registered for these courses so far. As I watch new MOOCs rolling out every week, I notice a greater diversity of subjects being offered, including several which would be of particular interest to teachers. As I write this article, there are MOOCs available on a variety of topics relevant to school teachers. There are courses on teaching high school physics, history, or maths. On teaching children with dyslexia, on the foundations of teaching on learning. As the world of MOOCs grows, it offers teachers a great opportunity to grow with it. The author is an engineer turned science and math educator with over 15 years of experience in teaching, curriculum development, and teacher education. She can be reached at kavitak2006@gmail.com.